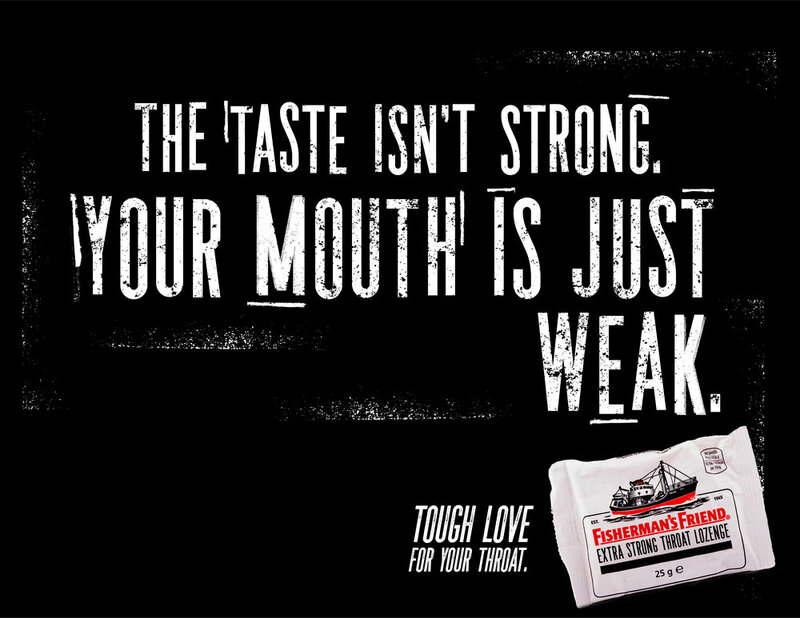 Fisherman’s Friend Extra Strong Cough Lozenge. Tough love for your throat. Fisherman’s Friend is the strongest cough drop because it was made to combat the cold symptoms that sailors in the North Atlantic had in the 1860’s. 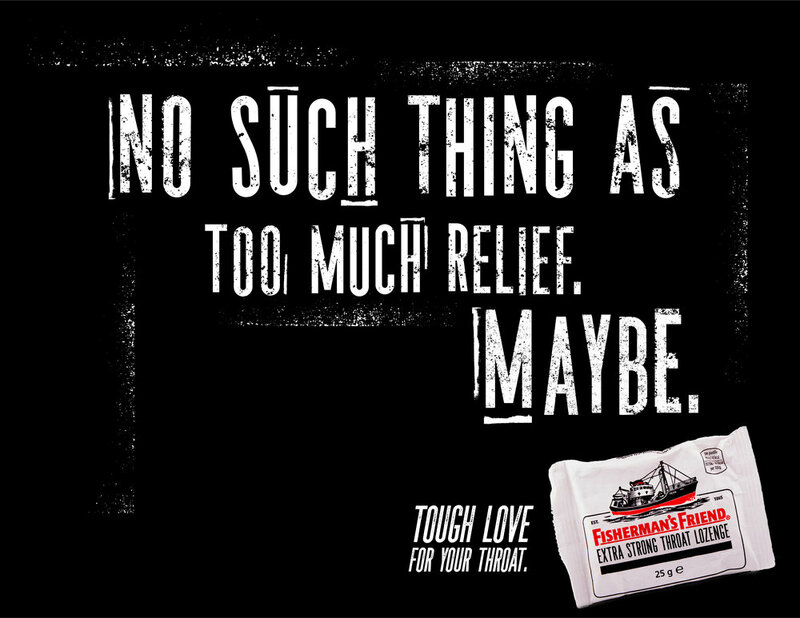 Using fisherman’s friend is like showing tough love to your throat.